Piste skiing can be a tricky activity to layer for, as it combines both relatively high-output activity with fairly long periods sitting in lifts, meaning that clothing systems have to be flexible enough to avoid overheating, yet provide sufficient warmth when required. 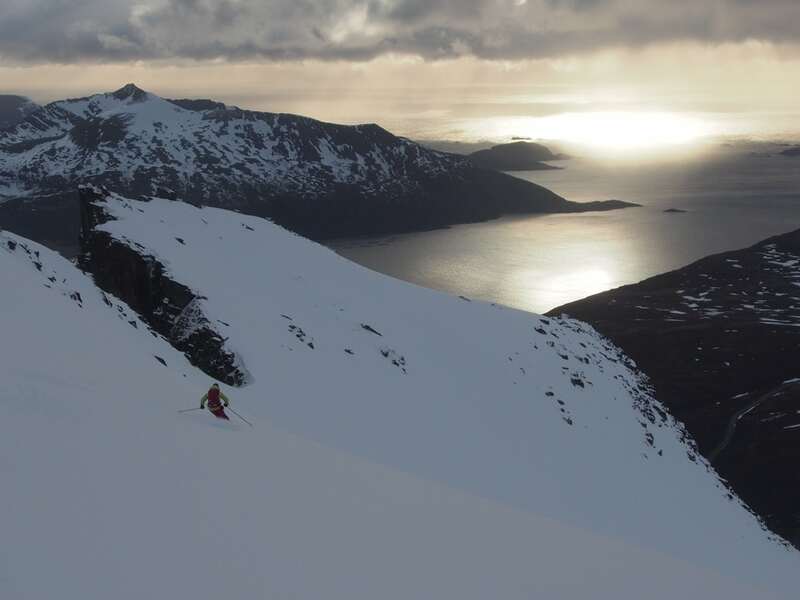 Depending on personal preference, skiing with a rucksack can be an effective solution, as this allows excess layers to be removed and carried easily. These are the foundation of your clothing system, and have two main jobs: both to provide some insulation, and also to wick any sweat off your skin to keep you dry and comfortable. These can be made of either synthetic or natural materials (such as merino wool). Synthetic base layers (such as the Erling) can have better wicking properties, and are a little quicker to dry. 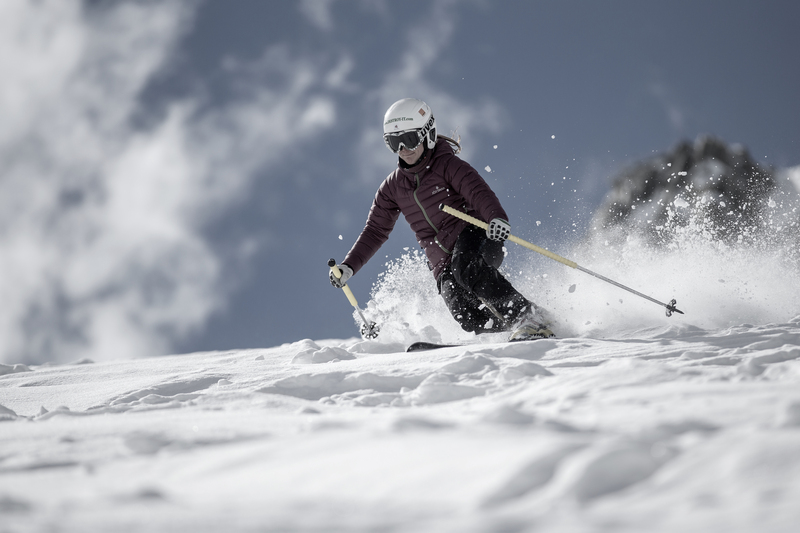 Merino wool (such as our Hamr and Heimdall), on the other hand, has more odour resistance, and it also boasts better temperature regulation, ensuring that you neither overheat or cool too quickly, making it the perfect choice for stop/start piste skiiing. Base layer leggings will improve comfort, especially if waterproof trousers are worn as the outer layer for the legs. These form the majority of the insulation worn, and also have a role to play in moving sweat further away from the body, by wicking it off the outer surface of the base layers. These can take many forms, but the most common would be a fleece jacket (such as the Hemming or Magni), but in exceptionally cold conditions a down or synthetically insulated jacket (such as the Thorsen or Elvar) can be a substitute. It may be worth considering wearing two thinner mid layer jackets, allowing temperature adjustment throughout the day. In slightly warmer conditions, such as in the spring or in lower altitude resorts, this may in fact form the outermost clothing layer. All our mid layers are treated with a DWR coating, to allow light precipitation and snow to bead up and roll off the surface. Often referred to as ‘hardshells’, these form the final layer of protection against the most severe weather. They feature waterproof-breathable membranes (such as our exclusive SKJOLDR fabric) in order to keep the wearer dry while allowing any sweat vapour to escape. All our hardshell jackets (such as the Bergelmir or the Odin) feature hoods that can be worn over a helmet, but equally can be worn comfortably over a non-helmeted head. The Odin also features pit zips to help minimise overheating when working hard or in warmer conditions, as well as a lift pass holder on the left wrist. All our overtrousers (the Vanir salopette and Vanir LT trousers) feature 3/4 length side zips, to allow a little venting should this be required, along with built-in gaiters to minimise snow ingress. The Vanir are a better choice in very cold conditions, as the high bib adds a further layer of insulation to your core. The alternative to this ‘traditional’ layering system would be a dedicated, specific ski jacket such as our Ragnarök, which combines both the mid and outer layers into one garment, which can be a more convenient solution when piste skiing, especially in consistently cold weather. This is a fully waterproof down jacket, filled with 900 fill power water resistant down. The Ragnarök boasts a lift pass pocket on the left sleeve, internal dump pockets (for gloves or goggles), a Recco avalanche search reflector, and also features a snow skirt, which when combined with a pair of higher-waisted trousers (such as the Vanir), will prevent snow ingress when skiing in deeper snow. The head, hands and feet are the most likely areas to become extremely cold, and they require a little extra consideration. Wearing a helmet will keep your head warm and reduce overall heat loss, which in turn will help keep the other extremities more comfortable. Gloves can be selected purely for warmth, as dexterity is somewhat less important when skiing on piste. Liner gloves are highly recommended, as they allow tasks such as doing up boot buckles without completely exposing the hands to the weather. The best ski gloves will feature more insulation on the back of the hand rather than the palm, as this gives insulation without impinging on dexterity. In exceptionally cold conditions, either mittens or lobster-claw gloves (mittens with a separate first finger to increase dexterity) will help keep hands warmer. Good quality ski socks with a high proportion of wool in their construction will make a huge difference to keeping feet at a comfortable temperature; but in true extremes a pair of custom-made insulated boot liners are ideal.